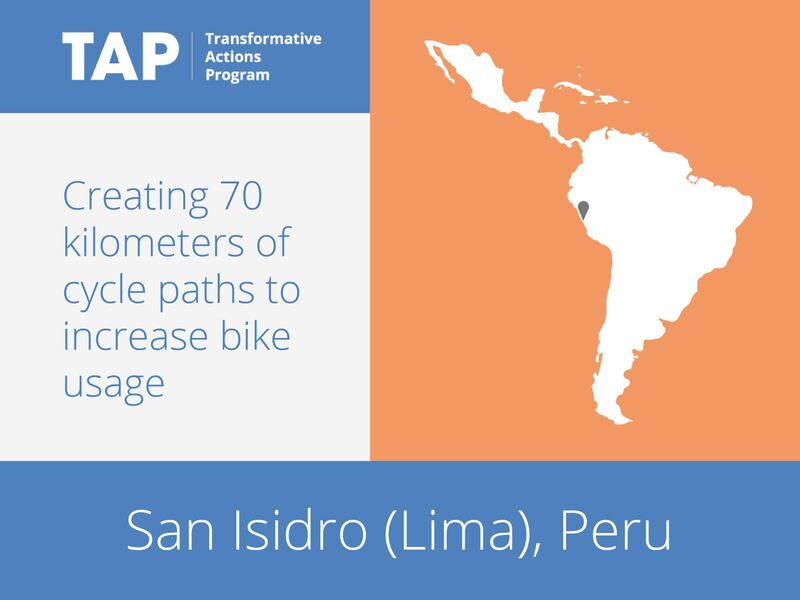 Currently in Lima, only 0.3 percent of inner city travel is done by bike. There is significant potential for bike travel, and surveys indicate that over 600,000 bicycles are available in the city. However, there is also a lack of security, parking and education. To increase the prevalence of biking, the city is developing over 65 kilometers of cycle paths in the district of San Isidro. The paths will be designed to connect with public transport and with cycle paths in other districts. The paths will offer 30,000 residents a new way of moving through the district, making mobility more sustainable.